The extra-small Urbandoc is new for Cruise 2019 in the Micro Intrecciato workmanship. 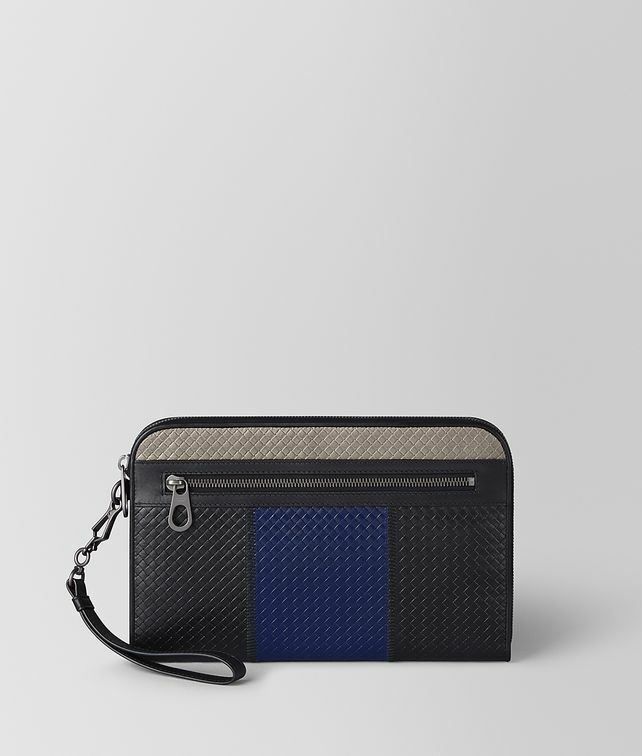 The slim document case is made with panels of leggero leather, embossed with a woven texture and hand-stitched with black thread for a uniquely graphic, color-blocked look. Sized to hold an 11" tablet, the style is finished with a cotton-lined interior, padded snap-button pocket and an additional external zip pocket.